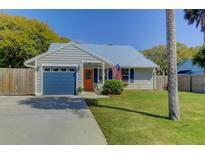 Find Isle Of Palms, SC Homes for sale. View Photos, Maps and MLS Data Now! Wild Dunes - When you're not enjoying expansive waterfront views, MLS#19011444. Carolina One Real Estate. Wild Dunes Resort - Just off the Living Room is the Media Room & the Formal Dining Room. MLS#19011302. Keller Williams Realty Charleston. Wild Dunes - Simplicity and consistency in the integration of careful design details with high-end appliances and finishes, including maple floors, two-piece crown molding, granite and limestone countertops, custom cabinets, a two-story dining room, and lush landscaping, create a peaceful home in an environment combining natural beauty and first-rate amenities. Agent is owner. MLS#19011111. 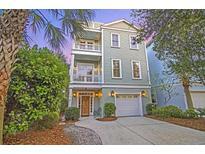 Daniel Ravenel Sotheby'S International Realty. Wild Dunes - BBQ gas outlet on refinished deck. MLS#19011113. Carolina One Real Estate. NO HOA fees or transfer fees associated with the home but still must abide by the Architectural Review Board guidelines of Wild Dunes Resort. MLS#19010848. Dunes Properties Of Chas Inc.
Property to be sold ''as-is, where-is'' and square footage and lot size are approximate. Seller is the listing agent. MLS#19010938. Arthur Ravenel Jr. Co.. The second master suite faces the ocean. MLS#19010822. Carolina One Real Estate. 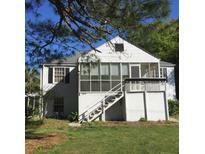 The 40' slip at E-6 can be purchased with the house for an additional $135,000. MLS#19010597. Carolina One Real Estate. The two remaining bedrooms are in the front of the home and share the second bath. MLS#19010696. Dunes Properties Of Mt. Pleasant. The updated kitchen with ample counter space, bar seating, and MLS#19010667. Carolina One Real Estate. This credit is in addition to any negotiated seller conce MLS#19010620. Carolina One Real Estate. A fantastic kitchen to suit even the best of chefs includes all high end appliances & impressive butcher block island with additional drop leaf for extra food prep or seating. Dual masters--one MLS#19010584. Carolina One Real Estate. Credit is in addition to any negotiated seller concessions. Measure! Read supplement MLS#19010188. Carolina One Real Estate. The completely remodeled kitchen has premium finishes and fixtures including custom cabinets, Wolf gas range, Sub-zero refrigerator, and Carrara marble countertops and backsplashes. MLS#19010052. Keller Williams Realty Charleston. Home and lot being conveyed in ''As-Is'', ''Where-Is'' condition with no warranties or repairs. Sold for land value only. MLS#19010023. Carolina One Real Estate. The architect was chosen as one of Southern Living Magazine's ''50 People Who Are Changing the South,'' because her homes are comfortable, quaint, charming and interesting. MLS#19009856. Be Local Homes. Major renovations throughout make this a comfortable place to begin your island lifestyle living! MLS#19009919. Matt O'Neill Real Estate. A very desirable location, close to the beach and views of the intracoastal from the driveway. MLS#19009883. Dunes Properties Of Chas Inc. The lower level features a full kitchen, living room and bedroom suite with a screen porch for private access to the lower level. MLS#19009778. Carolina One Real Estate. Wild Dunes - Large 3 car garage plus tons more room for storage .Kayak out the back gate into Intracoastal at high tide MLS#19009794. Carolina One Real Estate. Fireplace in Living Area.Just steps away to the Recreation Center that has Basketball, Soccer, Tennis, Play Park, Dog Park MLS#19009809. The Jones Company Real Estate. Buyer to pay 1% Wild Dunes transfer fee at closing. MLS#19009553. The Boulevard Company, Llc. A few of the many custom features are built-ins, outdoor sound system, green bug system, outdoor shower, large play area under the house, and custom shoe closet in MLS#19009381. East Islands Real Estate. Make an appointment to preview this home that offers MLS#19009304. Carolina One Real Estate. Other first floor features include a powder room, wide plank White Oak wood flooring throughout the living areas and bedroom, tile in the baths, a kitchen island, crown molding, two-panel solid doors, 10 ft ceilings and a covered patio with IPE decking. The patio has MLS#19009341. Keller Williams Realty Chas. Islands.